When was the last time you inspected your RV’s roof? If it’s been a while, you’ll probably find dirt, twigs, debris, cracks, oxidation. Don’t have an “Out of sight, out of mind” attitude when it comes to your RV’s roof. Let our experienced RV technicians clean your RV or trailer’s roof and conduct a thorough inspection. We recommend a rubber roof treatment about every year. Leaky roof? Did you know that often times your RV or trailer roof won’t require entire replacement? 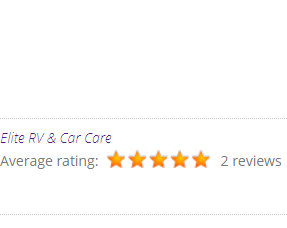 Here at Elite RV & Car Care, our customers come first. We can easily and quickly handle your roof repair job, and we’ll only do a roof replacement if one is required. Our service technicians have experience doing repairs and replacements on a variety of RV and trailer sizes and types, and we know that there are a number of effective ways to fix a roof. Whatever your needs are, you can trust Elite RV & Car Care. Our technicians are detail oriented and go out of their way to make sure you are taken care of quickly and professionally. Whether you need a roof cleaning, re-sealing or a full fiberglass roof replacement, we’re your go-to RV repair shop for everything trailer and RV. 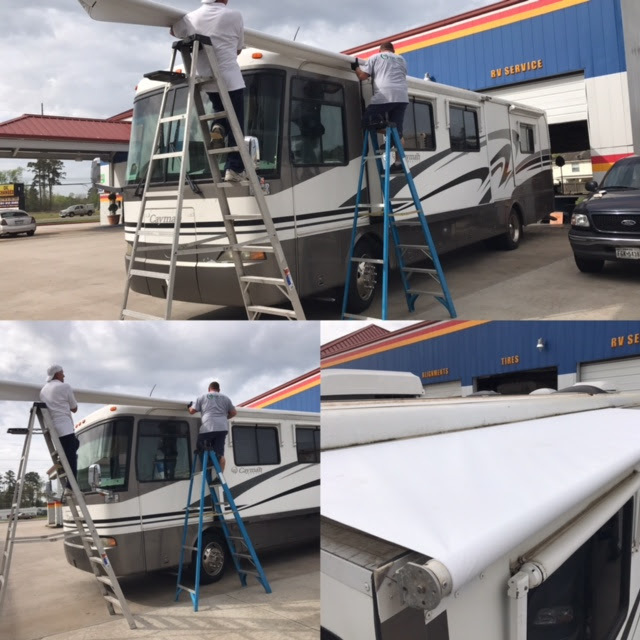 To make your RV roof repair appointment, please give us a call at (281) 812-3085 or feel free to use our contact form. From our convenient location in Humble, we serve vehicle owners throughout the region, including North Houston, Atascocita, Kingwood and surrounding communities. We look forward to opportunity of serving you. When it comes to issues involving your RV or trailer’s roof, it is crucial that you address the problem before things get worse. At Elite RV & Car Care, our team has the skills and experience necessary to provide you the top-quality RV services you deserve.